2900 Major Mackenzie Drive E, Markham ON, L6C0G6. We'll post more details closer to the date, and, yeah, we know, the date's not really solstice but it's close and that means the daylight will last well into the evening giving all of us a great chance to stroll and chat before enjoying dinner at one of the restaurants around the parking lot! Last year over 20 Rs showed up...more this year? Littlewing and outlaw502 like this. I’m hoping to be able to make it. I should be around and will certainly plan to attend. Looking forward to it. Time to dust off your R, make sure the engine starts and get rid of winter flat spots in the tires...time to drive! Just over two months to our second S.Ontario Summer Solstice SSR Cruise Night Rendezvous...details in post#1. Well I got the calendar marked and looking forward to attending. Had a good time last year and this years should be even better. You can add me to the list. Jerry & Cathy Webster coming from Toronto. My fender should (meaning it better) be fixed by then. Had a good time last year and have on the calendar. Hopefully we will have a good turn out again. Tom, Cathy, Jerry, (didn’t it used to be Tom and Jerry? ), Marg, Krazy Ed,...welcome...looking forward to seeing everyone! Just got off the phone with David Wellman, President of Thornhill Cruisers and confirmed June 24 as SSR night. 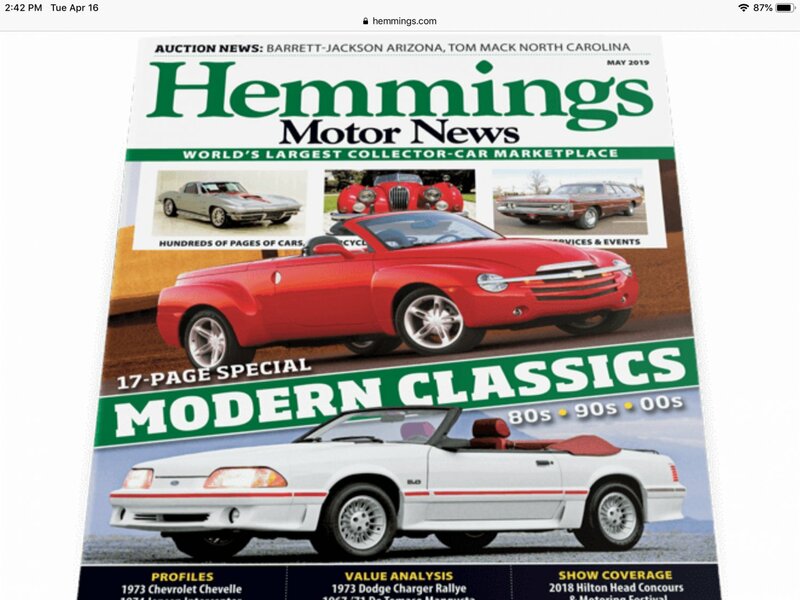 Featured sponsor for the night will be Hagerty Insce for Collector Cars...and, if you’ve seen Hemming Motor News, May 2019, you realize you own a potentially four out of four star collector’s vehicle!...your SSR!